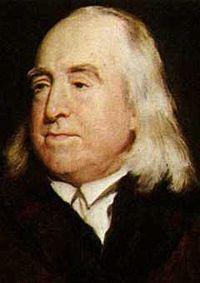 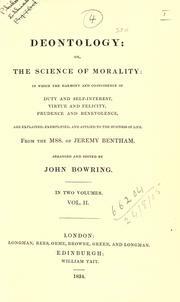 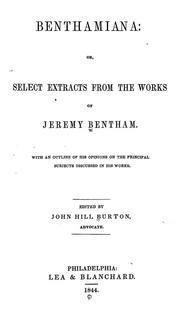 The works of Jeremy Bentham: published under the superintendence of his executor, John Bowring. 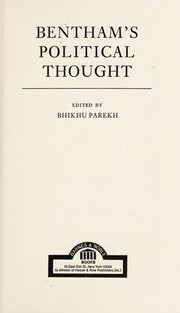 Economic writings: Critical ed. 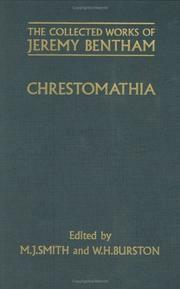 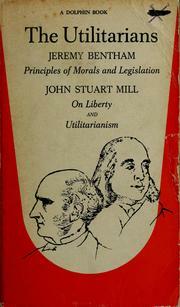 based on his printed works and unprinted Mss., by W. Stark. 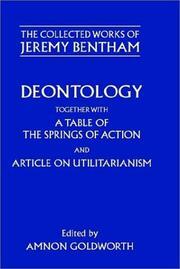 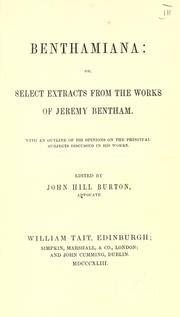 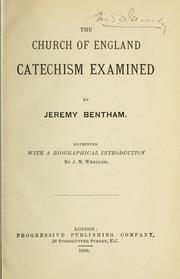 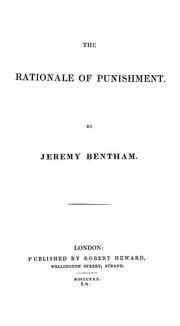 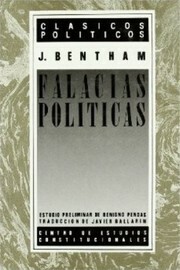 Benthamiana: or, Select extracts from the works of Jeremy Bentham. 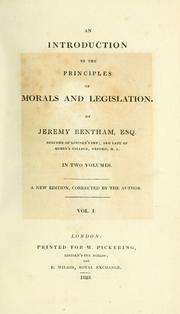 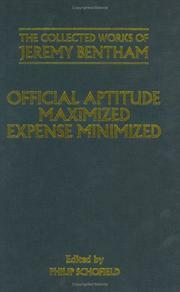 With an outline of his opinions on the principal subjects discussed in his works. 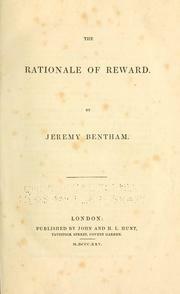 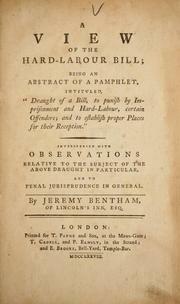 A treatise on judicial evidence: extracted from the manuscripts of Jeremy Bentham, esq. 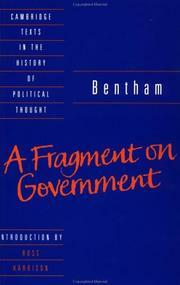 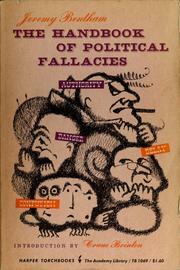 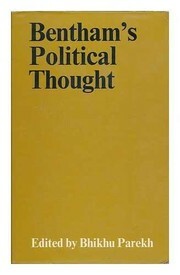 Bentham's political thought: edited by Bhikhu Parekh. 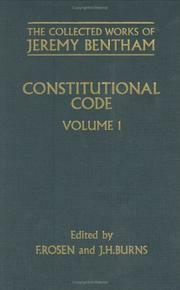 Of laws in general: Edited by H.L.A. 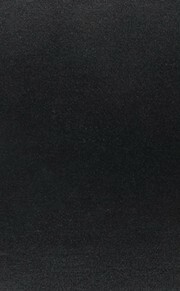 Hart. 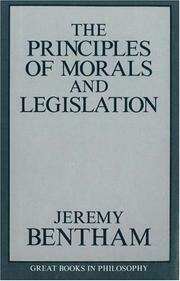 The principles of morals and legislation: With an introd. 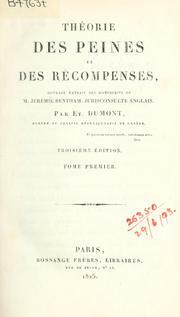 by Laurence J. Lafleur. 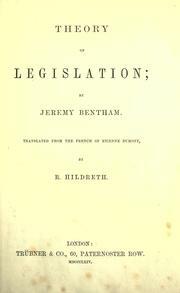 Radical reform bill: with extracts from the reasons. 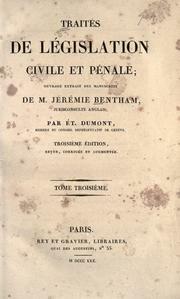 Œuvres de Jérémie Bentham ..
Benthamiana, Or, Select Extracts from the Works of Jeremy Bentham: With an ..
Benthamiana; Or, Select Extracts from the Works of Jeremy Bentham: With an Outline of His ..
Tactique des assemblées législatives, suivie d'un Traité des sophismes ..
Chrestomathia: Being a Collection of Papers, Explanatory of the Design of an Institution ..
Justice and Codification Petitions: Being Forms Proposed for Signature by ..
A Fragment on Government; Or, A Comment on the Commentaries: Being an Examination of ... Sir ..
A Treatise on the Principles of the Usury Laws: With Disquisitions on the ..
Observations on the Poor bill: introduced by the Right Honourable William Pitt. 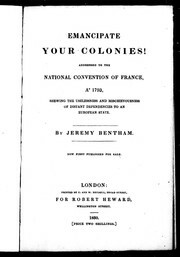 Written February, 1797. 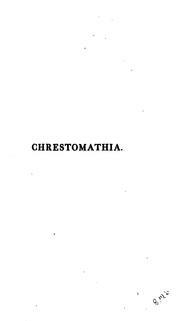 Not for publication. 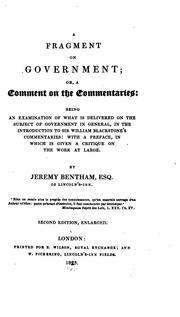 Observations on the restrictive and prohibitory commercial system: especially with a reference to the decree of the Spanish Cortes of July 1820. 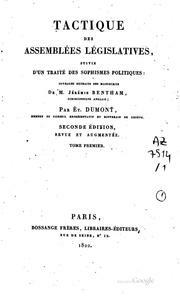 Defense of usury: shewing the impolicy of the present legal restraints on the terms of pecuniary bargains in letters to a friend. 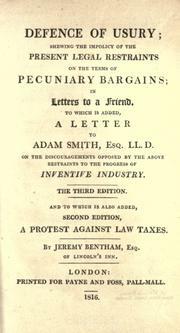 To which is added a letter to Adam Smith on the discouragements opposed by the above restraints to the progress of the inventive industry. 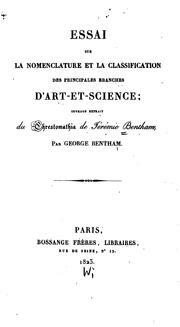 The 3d ed. 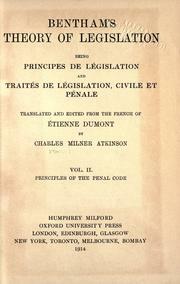 to which is also 2d ed., A protest against law-taxes. 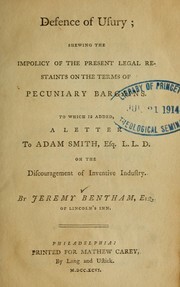 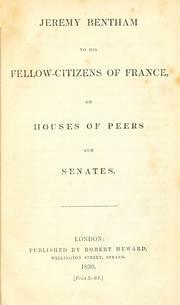 Anti-Senatica: an attack on the U. S. Senate, sent by Jeremy Bentham to Andrew Jackson, president of the United States, now first published by permission of the University college committee from the mss. 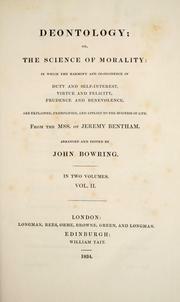 owned by the University of London, and contained in the library of University college, London. 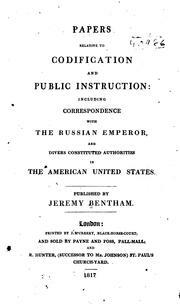 Papers relative to codification and public instruction: including correspondence with the Russian emperor, and divers constituted authorities in the American United States. Are you sure you want to remove Jeremy Bentham from your list?